Article taken from UNO magazine. Firmly and confidently—that is how we would like Mexico City to move forward and consolidate itself as a smart city. But on this journey toward technological transition, there are aspects we must not forget if we are to achieve this goal. The clock is ticking, which is where we would like to begin. Time is a factor we should not rely on. Almost 70 years ago, the very first digital communication took place between four military computers, which eventually gave rise to what we call the internet. This expanded and grew so fast that it turned into a lifestyle, connecting objects and entire cities, shaping even the economy. It was the connectivity trend Kevin Ashton named the Internet of Things in 1999 that allowed connection and communications between devices, making it possible to store information and start innovative trends. With the third wave of the internet, innovation became a constant process, as devices now had eyes and ears, allowing them to adapt and delve into our lives. Alongside this brief but poignant panorama, we see the application of technology in countries’ public lives. We talk about a city as “smart” when data derived from connected devices converges with public resource management to improve quality of life and the environment for a city’s residents. The Inter-American Development Bank (2016) highlights how the integration of technological development makes cities more innovative, more competitive, more attractive and more resilient. In short, it improves citizens’ lives. According to IDB figures, 70 percent of the world’s population—more than 6 billion people—will live in cities by 2050, according to the UN. Hence, it is increasingly important to achieve the appropriate integration of information technologies. So, where does Mexico City stand? Let’s begin with some interesting facts. Mexico City is a national leader, reflecting the country’s political, economic and social reality. This is where the country’s three political powers are found: the executive branch, the Congress of the Union and the national Supreme Court of Justice. It is the second-largest municipality in terms of number of inhabitants and the number one contributor to the country’s GDP. In terms of connectivity, 63 percent of Mexico’s population, aged 6 and over, consider themselves as internet users—in other words, 70 million people, three-quarters of which own a smart phone. According to PC World Mexico, an International Data Group (IDG) publication, total economic contributions from the mobile device industry will reach $52 billion by 2020, representing over 3.8 percent of Mexico’s GDP. Please note this master plan includes an “organizational division,” which will be responsible for managing the infrastructure and designing a public/private association to operate the Mexico City Connectivity Network. This should consider the best examples of international smart cities, creating a plan that would make it possible to efficiently take advantage of existing infrastructure, foster synergies and boost autonomous and sustainable growth for new infrastructure, thus laying the foundation for Mexico City to become a smart city. Mexico City wants to be a smart city, one that offers solutions to the problems afflicting urban areas, taking advantage of technology to simplify people’s lives and business operations, but a city that also goes beyond that to use the latest collective intelligence and collaborative social process (SEDECO, 2016) tools available. In November, the Nokia Smart City Playbook recognized Mexico City as having the infrastructure necessary to become a smart city despite achieving only 3 out of 5 points in their assessment. On the one hand, we have numbers showing a positive scenario regarding rate of growth in internet users and digital inclusion. On the other, we have a government willing to position the city as a leader. Yet from the perspective of these humble writers, there are three important challenges Mexico City faces and that we must remember so as not to get lost on this technological path. Despite the fact the Inter-American Development Bank has laid out a theoretical route for cities to become smart, we would like to offer three thoughts on the challenges facing Mexico City, as its move to become a smart city is no minor issue. To present this first challenge, we refer to an idea put forth by Media Lab Researcher Luis Alonso from the Massachusetts Institute of Technology (MIT), who says innovation has no direct relationship with technology—rather it is about identifying the main problems and visions in each city. Mexico City reflects the immense inequality found in Mexico, which is more than an economic problem. Inequality is a part of nearly every sphere of social activity, including education, healthcare, income and more. Overall, growth into a smart city must focus on the fact that network-based knowledge must not only improve the lives of those connected, but also bring those who remain unconnected into the fold, creating public policies that truly see the problems facing big cities and everyday citizens. In the words of Enrique V. Iglesias, former president of the Inter-American Development Bank, the use of technology is a means and not the aim in and of itself. The road to turning Mexico City into a smart city must not depend on will alone. Despite the fact Mexico City has laws to help promote connectivity, including the Law to Promote the Development of Mexico City as a Digital and Knowledge-Based City—passed in 2012—and the Law to Turn Mexico City into an Open City, this project’s leadership must last longer than the head of government’s six-year term and be deeply reflected in the goals and action plans in the 2019-2024 National Development Program. Legislators must understand the major implications of a smart city and, based on this, legislate in advance. For example, the issue of cybersecurity must be handled well, with mechanisms in place to protect all parties and create a trustworthy system in line with the spirit of a smart city. There is no doubt this legislation must be highly innovative. Finally, we must not forget the real objective of smart cities is public value; in other words, not only meeting the population’s basic needs in an intelligent manner, but also strengthening civic and democratic principles within society, including responsibility, transparency and participation. Citizen participation is a cornerstone that must not be left aside. After all, it is we, the citizens, who are beginning this transformation and who constantly evaluate the results of information integration. Citizen satisfaction is the best way to calibrate a smart city’s performance. We live in times of change, where public administration must have a deep and dynamic knowledge of the regions comprising their societies. In addition, modifications in how governance is carried out and, above all, the advent of new communication processes among various stakeholders involved in decision-making will be key in consolidating Mexico City as a smart city. It was only over 60 years ago, right in the middle of the Cold War, that the idea of creating a network of military computers to access information from anywhere in the world first arose. At the time, it was impossible to imagine just how far the project, which used only four computers to share strategic information, would go. Perhaps it is currently inconceivable for us to think just how far the potential of smart cities can go, and this is why it is time to reflect on the ultimate purpose of technological integration, giving preference to human sensibilities and citizen participation in policy development. The clock is ticking for Mexico City. Ever since 1997 Romero has been at the forefront of the company’s expansion processes in Latin America, starting operations in Peru, Argentina, Colombia, Panama, Ecuador, Mexico and recently, Miami. 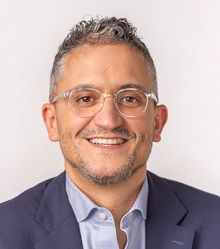 Romero has also recently led the communication processes in three of the ten most important M&A operations in the region: the selling of BellSouth operations to the Telefonica Group; SABMiller’s acquisition of the Corporate Group Bavaria and; the selling of the Financial Group Uno to Citibank. In 20 years, Romero has managed to position LLYC as the leading communication network in Latin America. 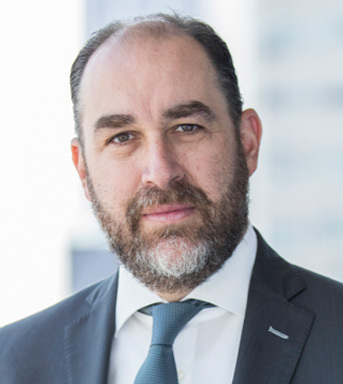 Previously, Ellstein was Chief Executive of Legix, a firm specialized in Legislative Affairs and has collaborated in the area of government and public affairs in companies such as MetLife and in international communication consultancies. Ellstein holds a degree in Political Sciences and Public Administration, as well as a degree in Psychology. Furthermore, Ellstein has a Master’s Degree in Politics from the University of Essex and another one in Political Science and Political Economy from the London School of Economics.